In 2018, Two all-new specially made Promo trading cards were released. 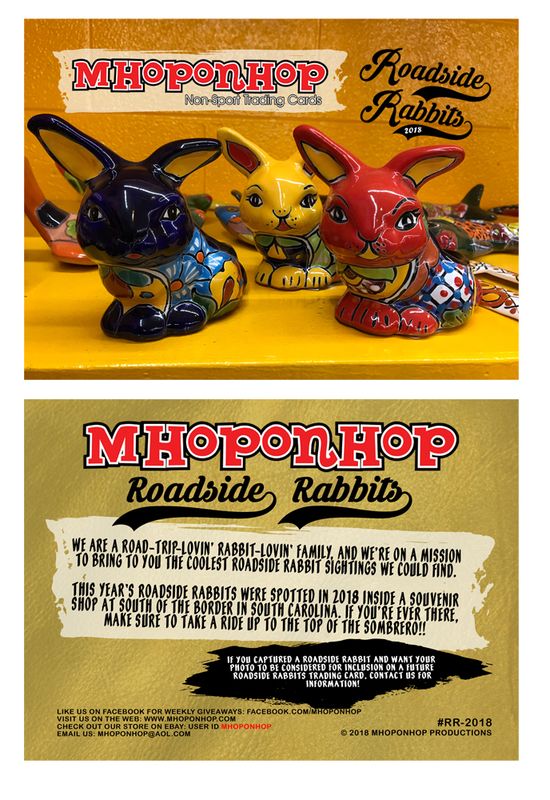 This year the 2018 "FEATURED ARTIST" card was replaced by a "ROADSIDE RABBITS" card. 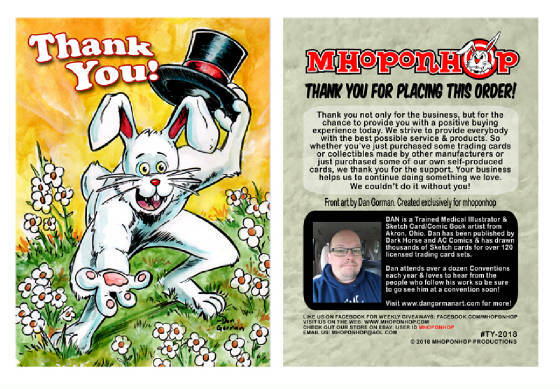 The 2018 "THANK YOU" card features art by Dan Gorman who created it just for us! Hop over to eBay & visit our eBay store today ~ Place an order & you're likely to get our Standard 2018 Promo Cards free! Get them while they last - they won't last long! Make a Special Request & we'll make sure you get one!